A research organization of the trucking industry recently released a study on the safety impacts of marijuana-impaired driving and provided several recommendations to address the issue as driver turnover falls. The driver turnover rate at large truckload carriers declined nine percentage points to 78% in the fourth quarter of 2018, from the previous quarter, according to trade organization American Trucking Associations (ATA). The rate is 10 percentage points lower than it was in the fourth quarter of 2017. For 2018, the turnover rate rose two percentage points to 89%, from 2017. 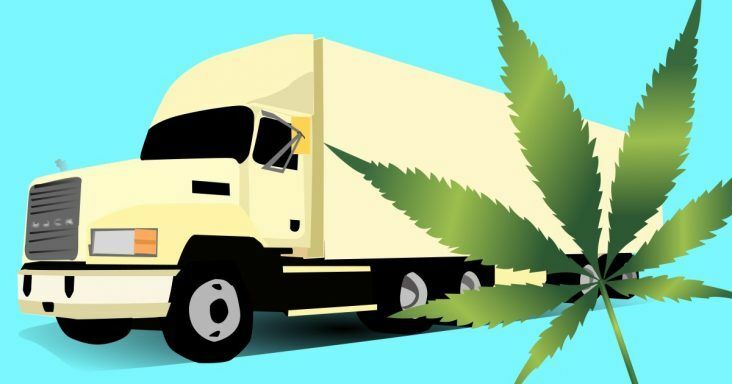 While the use of recreational marijuana is allowed in 10 states and the District of Columbia and 33 states have approved the use of medical marijuana, American Transportation Research Institute (ATRI), a nonprofit research organization for the ATA, has studied how this might impact the safety of truck drivers as they are more likely to be sharing the road with motorists under the influence of marijuana. The research organization’s Research Advisory Committee in 2018 identified marijuana-impaired driving as a top safety research priority, and the new report offered solutions to marijuana-impaired driving. Some of the recommendations include increased data collection on the frequency and impacts of marijuana-impaired driving, public education and information on the risks of impaired driving, better equipping law enforcement and the court system to find and prosecute impaired drivers and leveraging tax revenue from marijuana sales to pay for the recommendations. But because the federal government doesn’t recognize recreational marijuana use as legal, a tax directly on marijuana is unlikely, the report shows. However, a tax on growing marijuana and sales at the federal level could help to pay for the programs to fight marijuana-impaired driving. By comparison, federal excise taxes on alcohol generated $10.7 billion in tax revenue and taxes on domestic tobacco generated $13 billion in tax revenue. Unlike alcohol, one of the challenges with enforcement of marijuana-impaired driving is measuring the levels related to driver impairment. Some states use a measurement of THC, the psychoactive component of marijuana found in blood, to determine impairment as this component of marijuana leads to impairment, the report shows. It remains in the blood for a few hours after smoking marijuana and longer if orally ingested. THC breaks down to form metabolites, which don’t cause impairment, but they can be detected for weeks and can result in a charge of driving under the influence. Federal law requires truck drivers to be drug tested before they are hired, randomly, after crashes or under reasonable suspicion of drug use. The test checks for metabolites and identifies past use of marijuana, not intoxication. Some companies such as Lowell-based carrier J.B. Hunt Transport Services complete drug tests by performing both urine and hair tests. Hair tests can show if a prospective driver were a lifestyle user who might pass a urine test after short-term abstinence from drugs but not a hair test. Existing law requires drivers to complete a urine test, not a hair test. In the 10 years that J.B. Hunt has tested hair and urine, more than 4,700 drivers passed urine drug tests but not hair drug tests, the report shows. These drivers likely sought jobs at other companies that don’t require hair testing. Marijuana intoxication can lead to the risk of a crash to rise between 20% and 30%, the report shows. In another report, drivers who tested positive for marijuana were 65% more likely to have a role in causing a fatal crash. The ATRI report also highlighted the importance of training law enforcement to identify and collect evidence of marijuana-impaired driving through the training of more drug recognition experts.